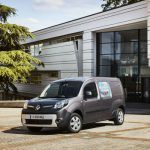 As promised, Renault has introduced a new larger battery equipped Kangoo Z.E. with up to 50% more range. 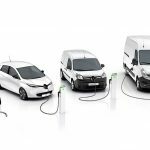 And while we are happy to see the upgraded “ZE 33” model, and its 33 kWh pack (instead of 22 kWh), the vans battery stills looks tiny as compared to the recently updated ZOE with a 41 kWh pack. 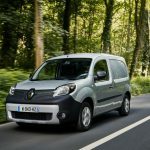 Renault pegs the new Kangoo ZE 33 at a range of 270 km/167 miles under the NEDC rating system, which translates to about 200 km/125 miles in ‘real world’ driving conditions. The Z.E. 33 is shared with new Master Z.E. heavy commercial van. Renault has also utilized a new electric motor found originally on the ZOE R75/90, rated at 60 hp (44 kW), and has replaced the original (and fairly weak) charging system. 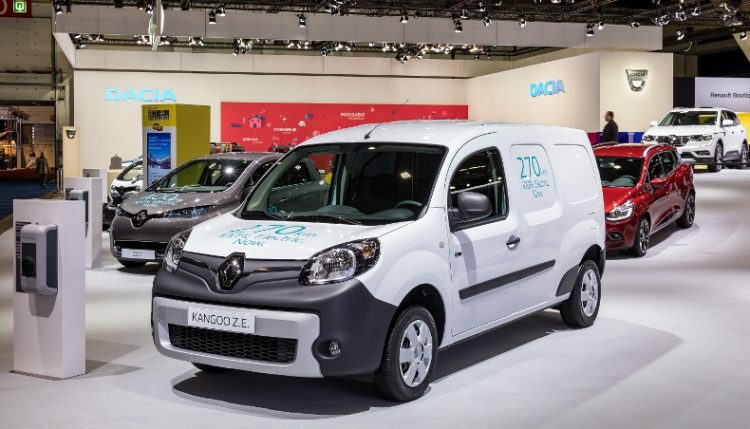 The new Kangoo ZE can charge at near twice the rate of the previous version – up to 7 kW. As you can see, the 7 kW charging capability still isn’t near on par with the 22 kW charging found in ZOE. 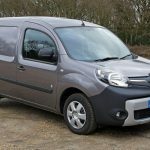 Anyway, the new Kangoo Z.E. is still far better then the previous version, so perhaps we should not be too critical. 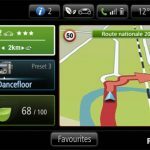 Renault promises the “ZE 33” will be available on the European market from mid-2017.